Buying a North Shore home this spring can be an exciting time as the real estate market begins to bustle with more activity. Sellers find that the warmer months are the ideal time to put their home on the market, and take the first few weeks of spring to freshen up their home. Buyers also feel more eager to buy in the spring since they can avoid packing up and moving in the brisk North Shore winters. If you are considering buying a North Shore home within the next few months; I’m sure you’ll find a great home since there are a wide variety of options on the North Shore Real Estate market! As a North Shore Real Estate agent, I enjoy helping people navigate through the home buying process, as well as ensuring they find the place that fits their style and budget. 1. 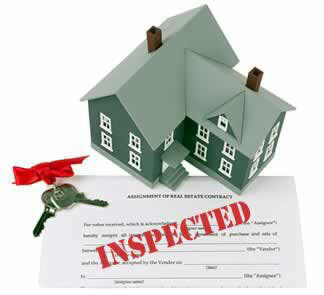 Attend The Home Inspection- Attending the home inspection will give you the opportunity to learn more about the home and where things are located. You can also be there if the inspector uncovers any issues. 2. Follow The Home Inspector And Ask Questions- Don’t be afraid to follow the home inspector closely and ask questions, especially if you’re a first time home buyer. You’ll want to know everything there is to know about your new home and if you’re unsure of anything, the inspection is the perfect time to ask. - Heating, plumbing, air-conditioning and all electrical systems: all wires, systems and pipes should be up to date for modern usage. - All wood throughout the home: wood destroying insects such as termites can cause major damage but can be fixed if dealt with properly. 4. Consider Optional Tests- It’s important to test things such as underground storage tanks, as well as testing for lead paint, lead in the drinking water, bacteria in well supplied drinking water, radon gas in the air and other concerns as needed. 5. Obtain A Full Verbal Report At The Time Of The Home Inspection- While the engineering report should be available the day following the inspection; you’ll still want to ask for a full verbal report at the end of the home inspection. As you think about going into a home inspection, I hope these tips give you a better understanding of what to expect and what you can do to make the most of this important step in the process. For those of you who haven’t started searching for your North Shore home or those of you who are still looking for a reliable North Shore Real Estate agent; I would love to talk with you! My years of experience in the North Shore Real Estate market can ensure that the process runs smoothly and that you find the exact North Shore home for which you’ve been searching!